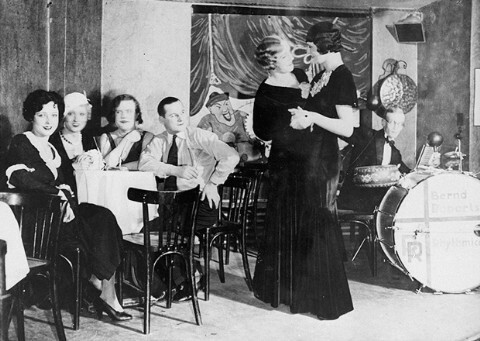 A couple dances at the "Eldorado," a nightclub frequented by members of Berlin's homosexual community. The nightclub, along with other similar establishments, was closed by the Nazi government in the spring of 1933. Photograph taken in Berlin, Germany, 1929.